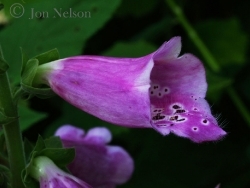 Posted August 9, 2010 in Natural History. 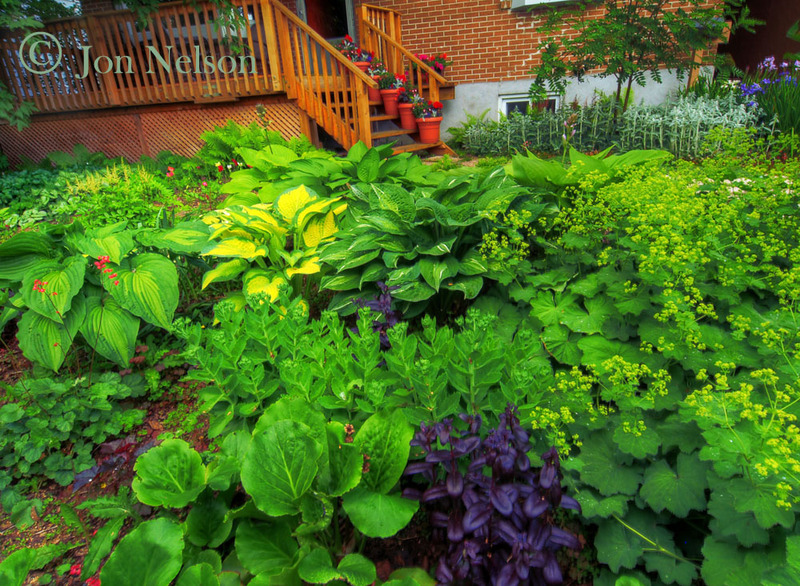 Marie has created a wonderful garden of flowers and food at our home in Thunder Bay, Ontario. 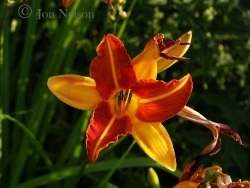 Marie passed away in March but her spirit lives on. 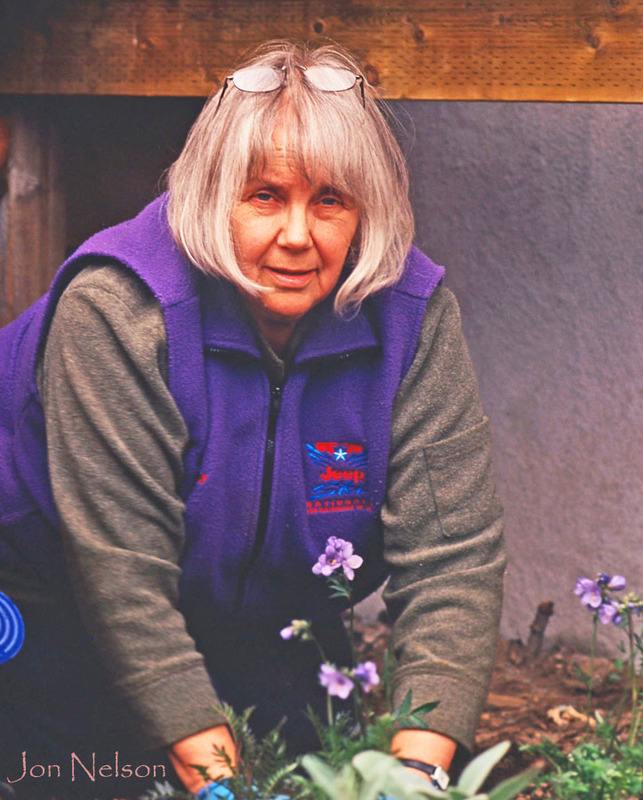 Her family will maintain her wonderful garden and, more importantly to Marie, her grandchildren will experience the joy of working with plants and creating a beautiful space full of life. 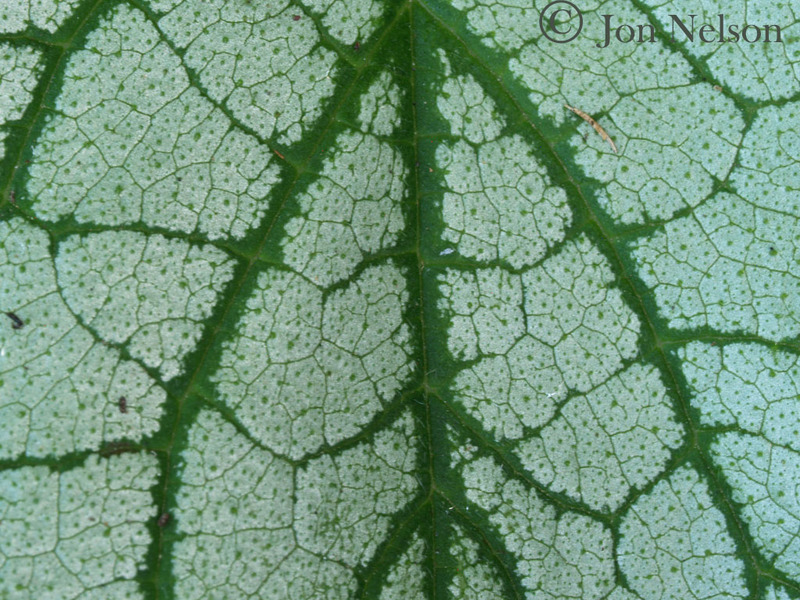 Brunnera leaves are as eye-catching as most flowers. 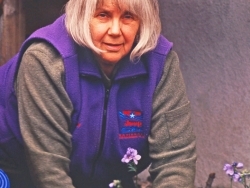 Marie Nelson working in her garden. A row of bleeding heart flowers in our front yard. 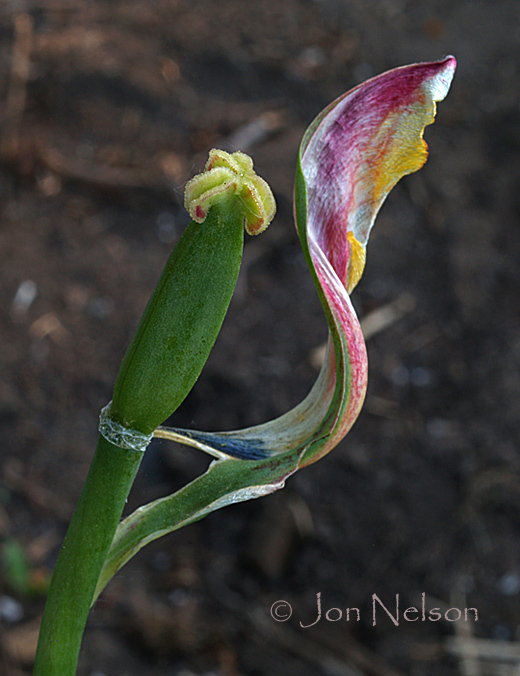 While other petals have fallen off, this last tulip petal is holding on tight. 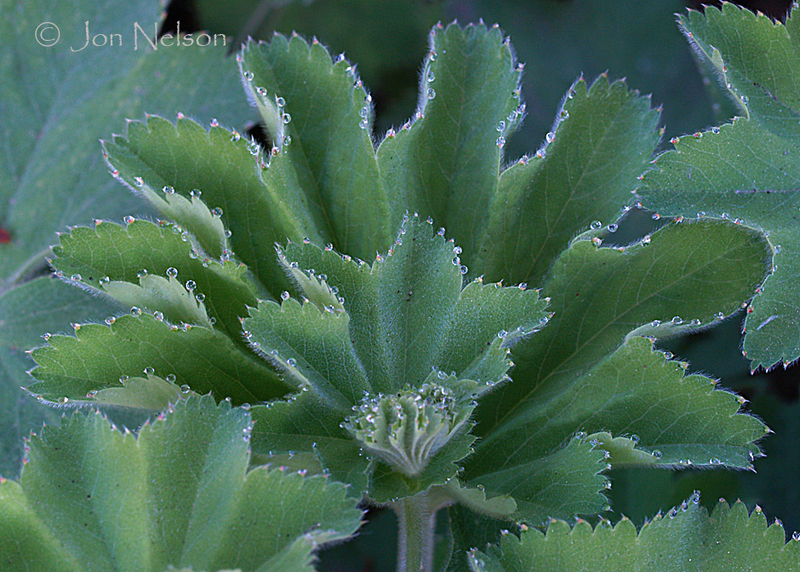 Morning dew decorates the edge of this lady's mantle leaf. 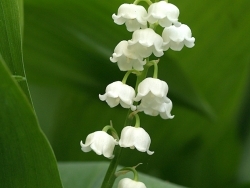 The back corner of the garden has a clump of lily of the valley plants. 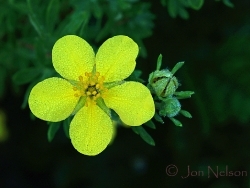 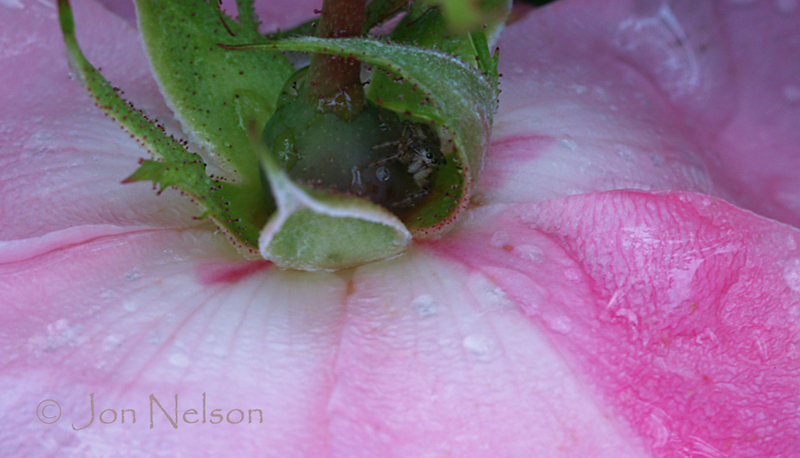 A flower in mid-August covered with morning dew. 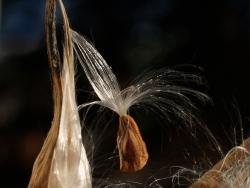 The seed pod of the Angel's Trumpet plant is about the size of a golf ball. The Angel's Trumpet seed split open in early September to release the seeds. 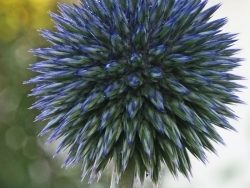 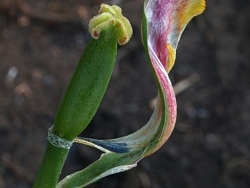 Some unreleased seeds can be seen inside the pod. 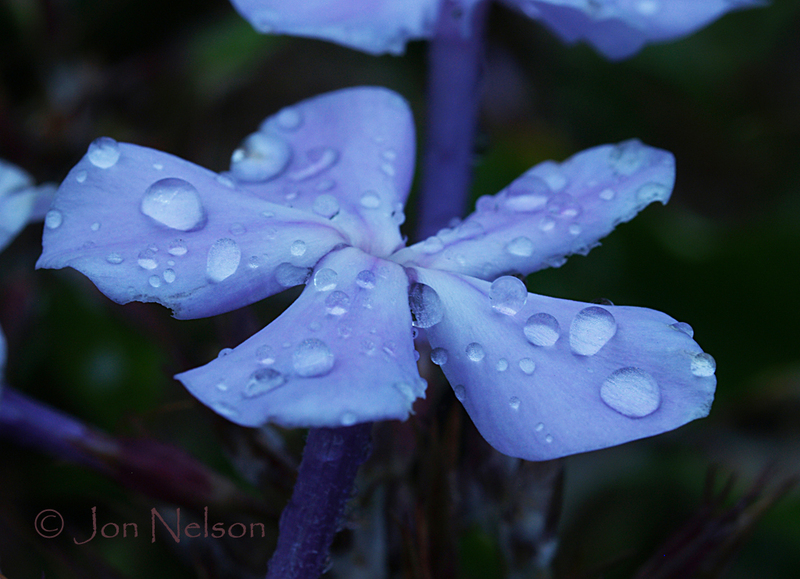 Raindrops on a phlox flowere near the end of August. 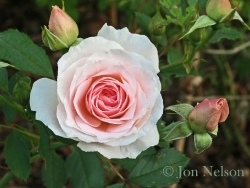 The colour of this pink rose intensifies towards the centre of the flower. 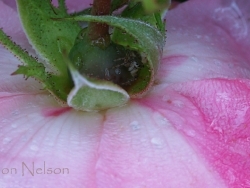 A spider hiding in the sepals of a rose flower after a heavy rain. 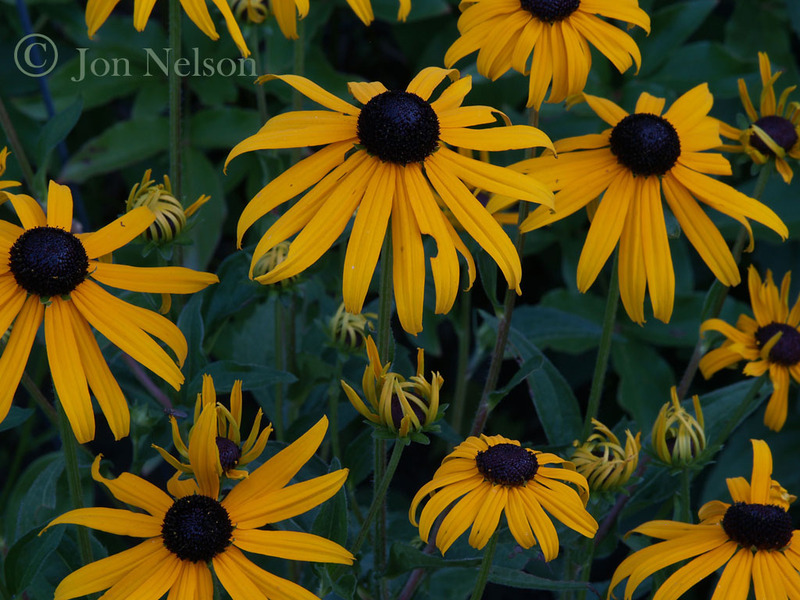 Blackeye Susans (Rudbeckia) in our Thunder Bay garden. 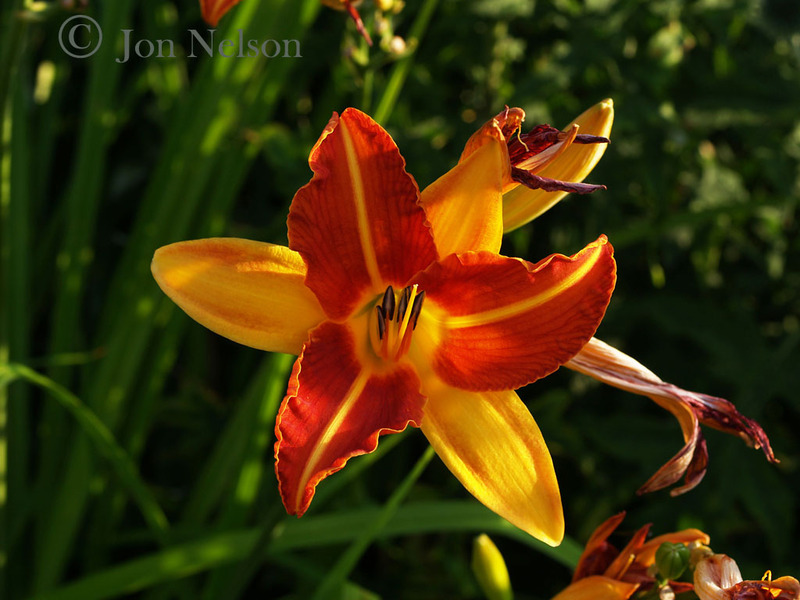 Daylilies are large with striking colors. Subtlety does not seem to be one of their main attributes. 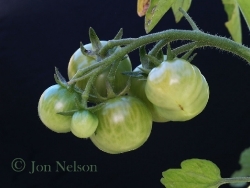 These tomatoes, green in early August, will soon be part of our lunch and suppers. 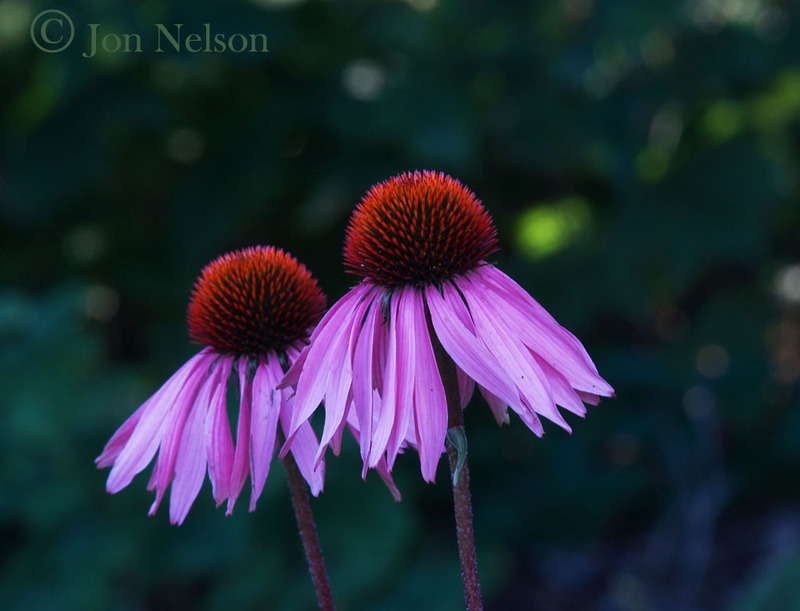 Two Echinacea (cone flowers) in early morning light. A close-up of a multi-coloured Brunnera leaf. 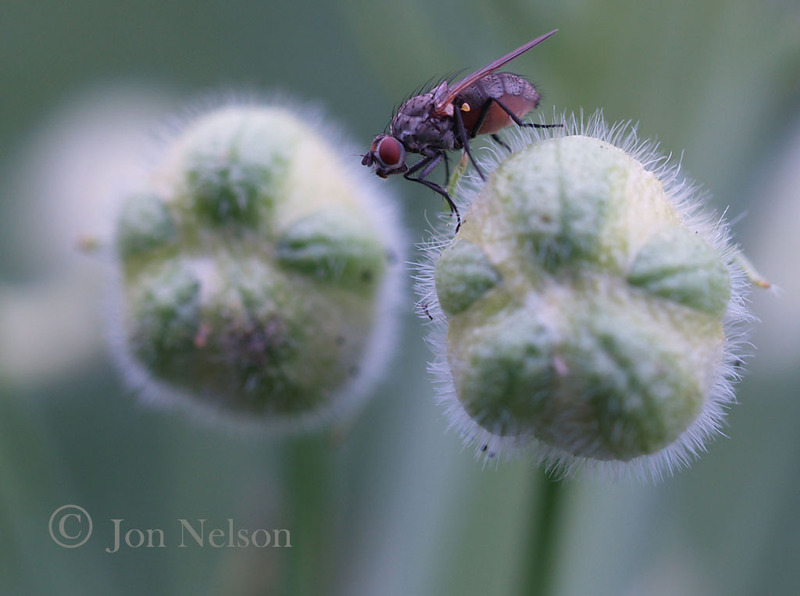 A fly rests on a seed pod. 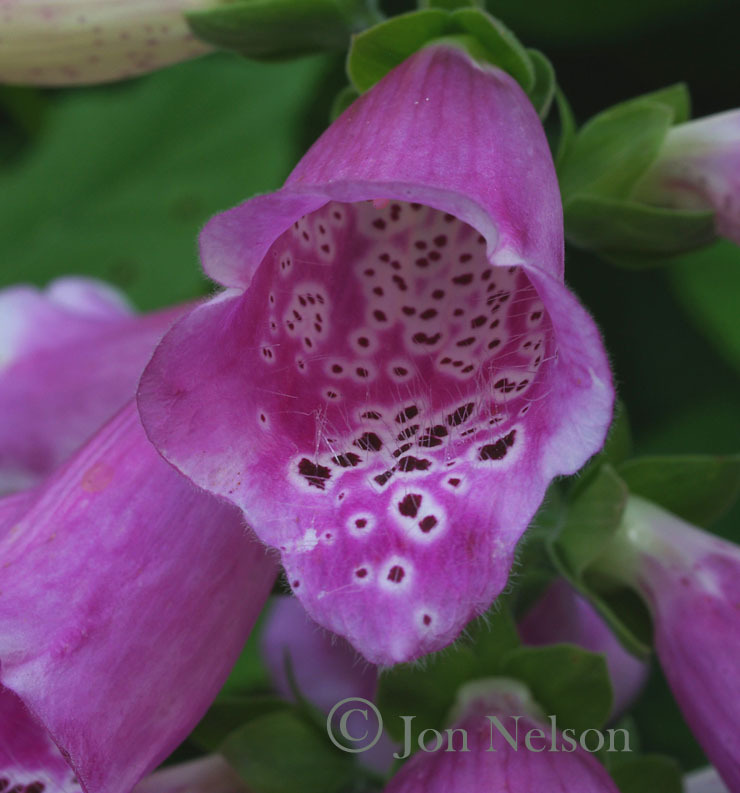 One of many foxglove flowers on a flower spike. 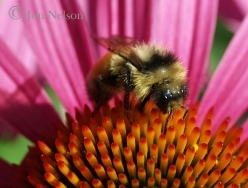 A honeybee seeking pollen on an Echinacea flower. 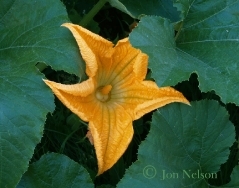 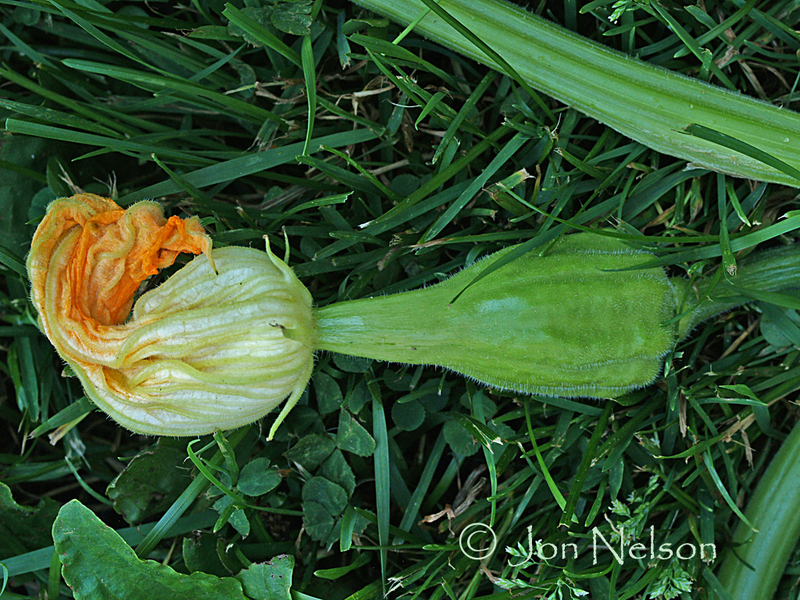 Squash flowers are both huge and edible. Looking into a large squash flower. 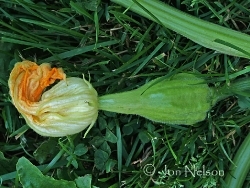 Squash flower giving birth to a baby squash on our lawn. 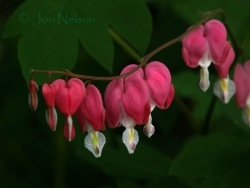 I was fortunate to be there, usually just the father and immediate family are present at this intimate event. 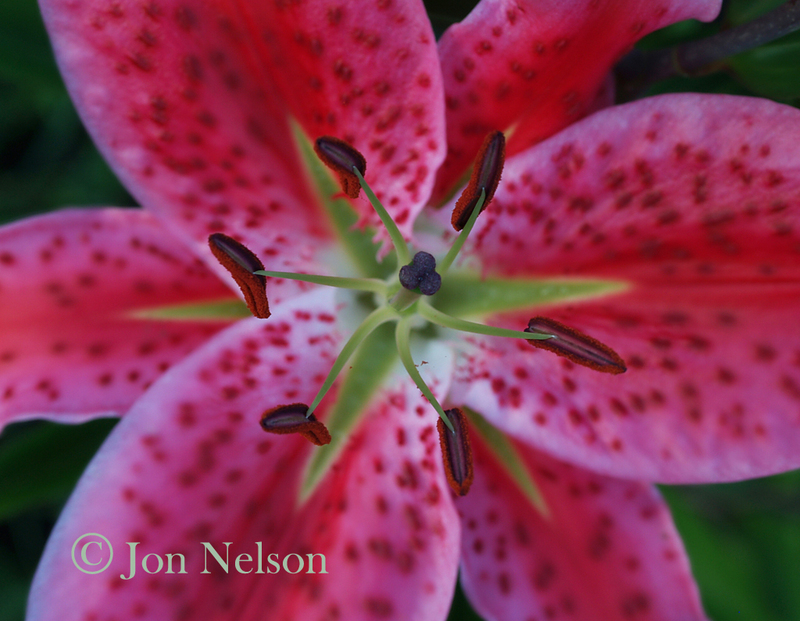 Looking down on the pistil and stamens of a large Asiatic lily. 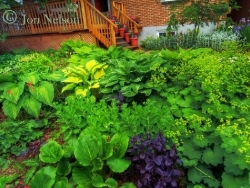 Our front yard in July. Photo made more dramatic by merging three photos using HDR. 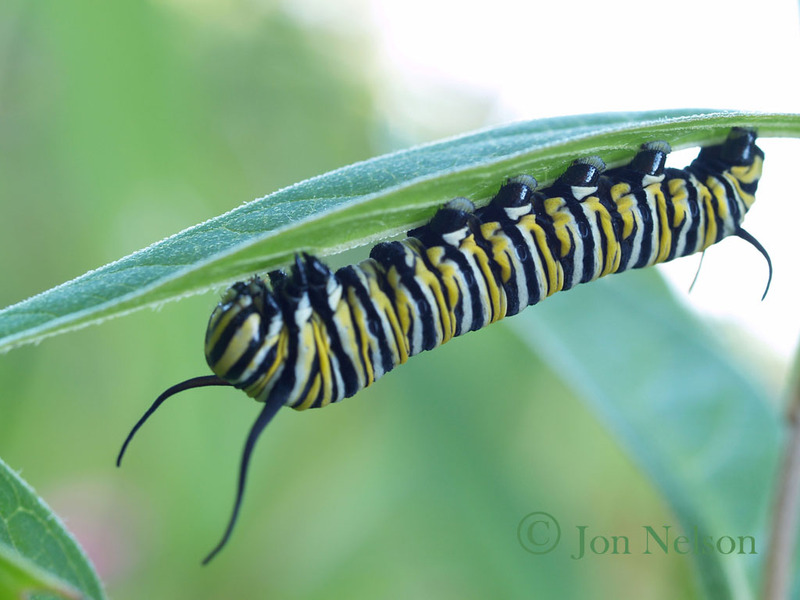 Marie planted milkweed two years ago and this year we saw a Monarch butterfly in July. 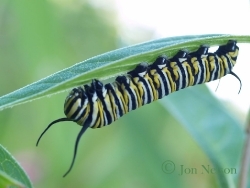 In mid-August we have at least seven caterpillars on our plants. 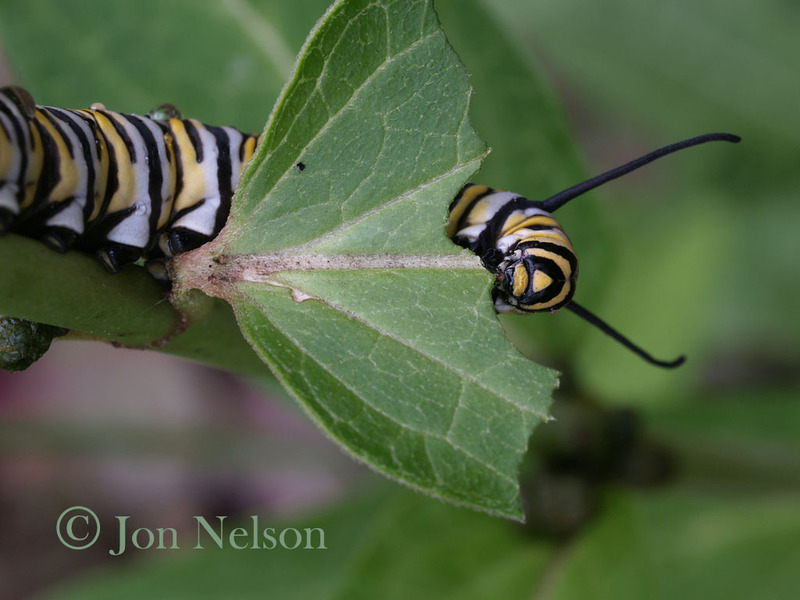 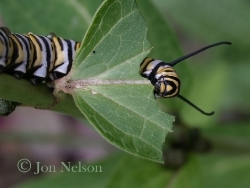 A monarch caterpillar's continuous diet of milkweed leaves allows it to accumulate toxins which protect it from predators. 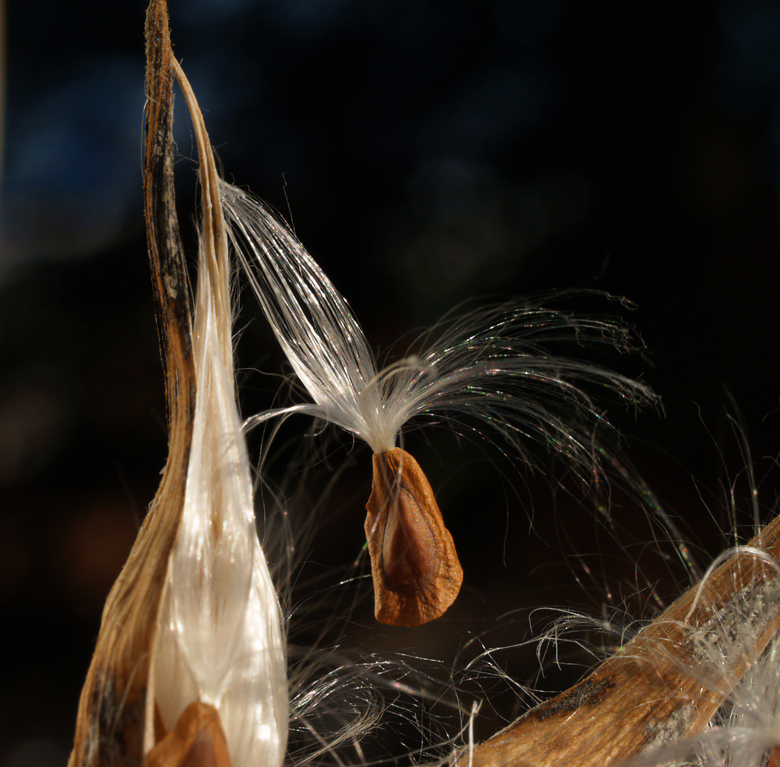 A milkweed seed still cling to a plant in our garden in mid-December. The large pistil and stamens of an Asiatic lily protrude well above the flower. 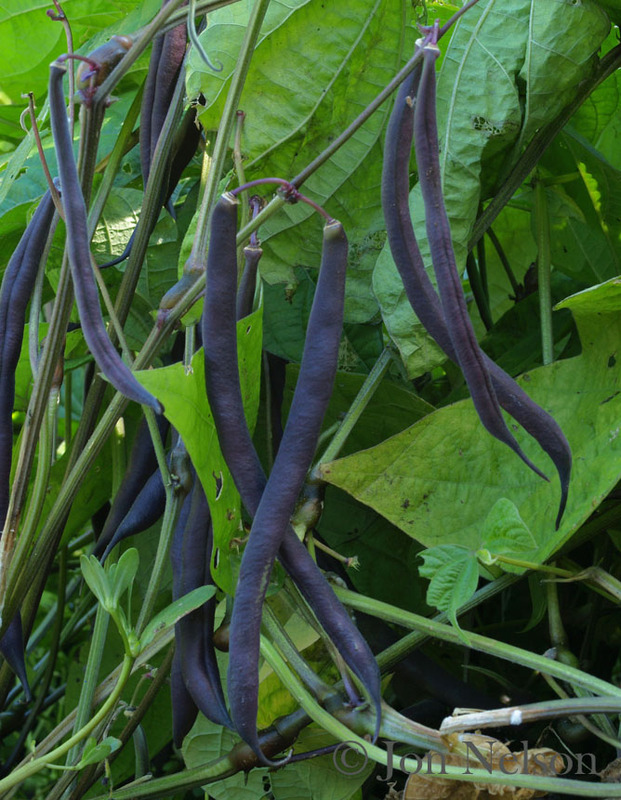 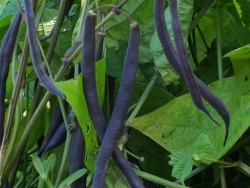 Purple (blue) green beans taste wonderful raw and turn green when cooked. 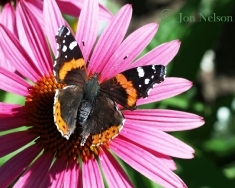 A red admiral butterfly rests on a cone flower. 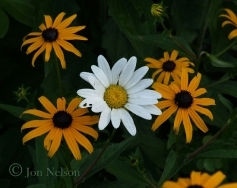 A solitary Shasta daisy stands out among a crowd of Rudbeckia flowers. 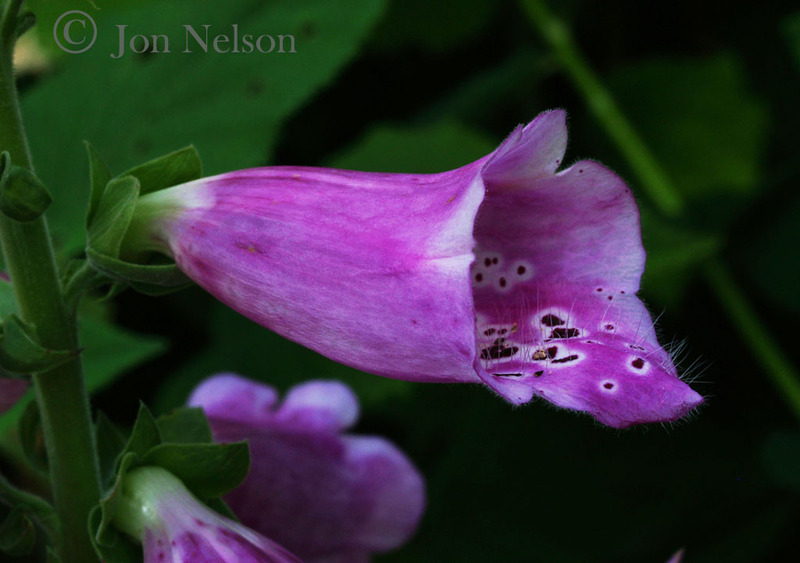 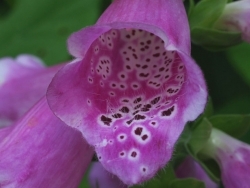 The spotted throat of a foxglove flower. 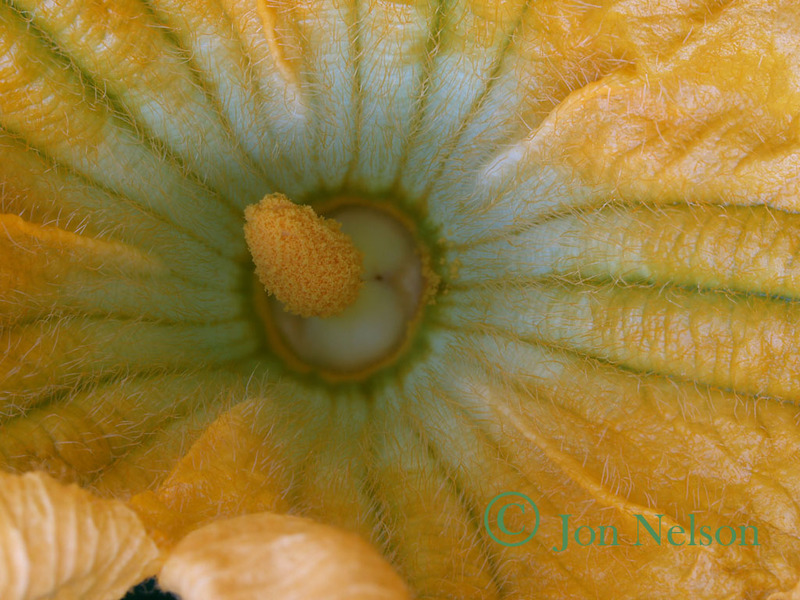 As usual Jon….you have a wonderful creative eye. 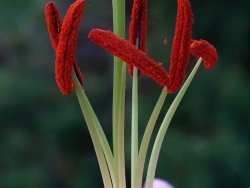 And Marie has a great green thumb! 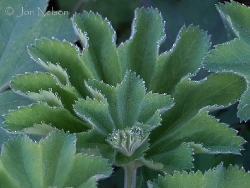 Has little Mairen been in the garden and is there a little Leif/Heather yet? 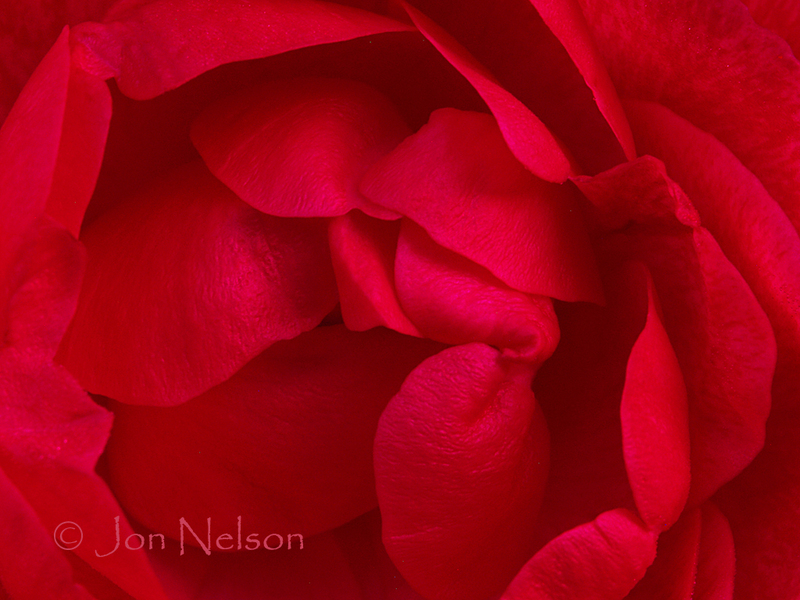 Absolutely lovely. 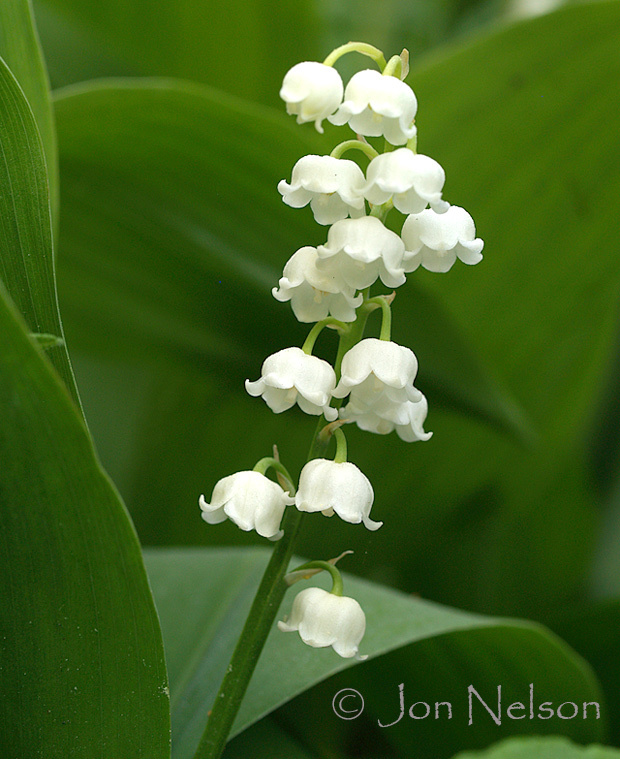 I’ve just scrolled through hundreds of images of Lily of the Valley and yours is the prettiest I’ve seen. 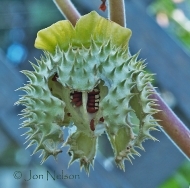 Is that seed ball from an angel trumpet tree or a datura or moonflower angel trumpet? I have the white moon flower & the single & double datura that have balls. But just wondering if my pink, orange, etc. 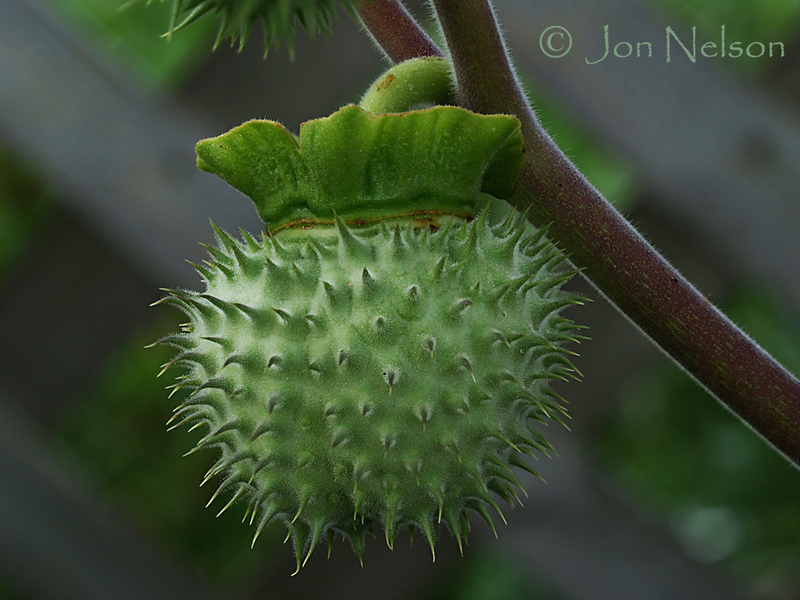 tree will ball also? 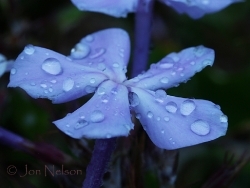 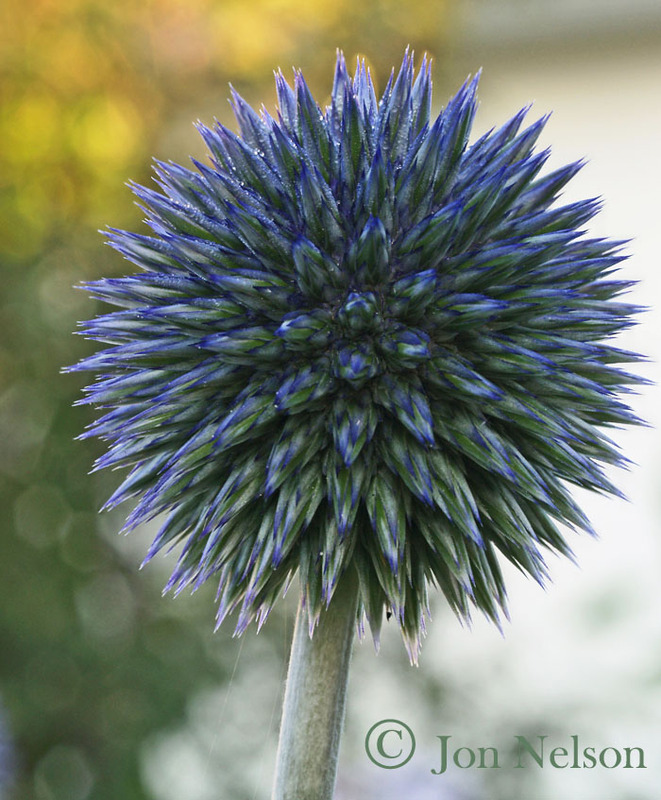 The flowers are fantastic and the photos capture them, even to the dew of the morning. Thank you Jon for your inspiring work and for showcasing Marie’s incredible gifts in her garden. 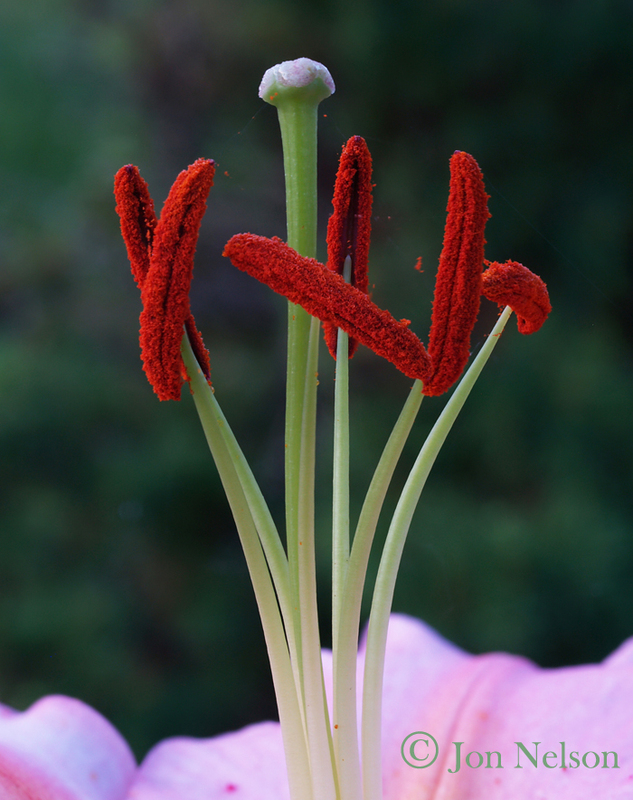 My efforts at gardening have been struggling with a dry hot climate in Calgary. I can visit your fine website and cherish all that in there.